Hotel La Falaise wants to push up for economic, social and cultural development of the Dogon plate. Our objective: to support plate’s inhabitants efforts. They organize themselves to change and improve their living conditions. According to that goal, we have set up a close cooperation with several non profit-making organizations. Education and elimination of illiteracy, professional training, microcrédits and financing countryside cultures, production, transformation and conservation of the products of agriculture and the breeding, hydro-agricultural installation, assistance with decentralization, councils in infantile nutrition. 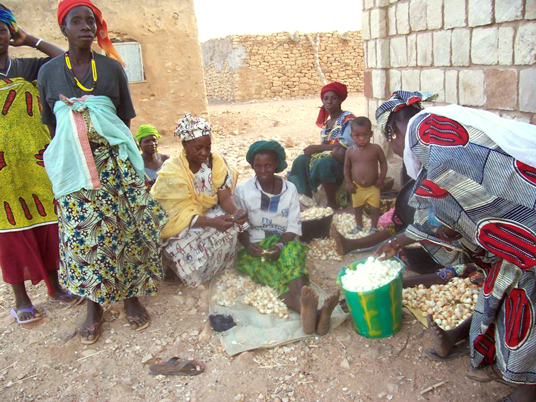 Tourism is an important vector of economic and social development for Mali. Conscious of the misdeeds of mass tourism, we chose to promote a tourism based on ecological and human respect. This is why we decided to support the traditional activities of the local populations and to sensitize them with the reception of the foreign tourists. Help us to support the Dogon Plate associations ! villages contributions and, partners associations gifts or legacy and external subsidies. and the organization of these projects. contact@hotel-la-falaise.net / portable (+223) 601 53 35.